Sudsina & Associates is a collaboration of experienced professionals that ensures each of our clients a team of highly qualified individuals to assist with the execution of financing plans. Mr. Sudsina is a Certified Independent Public Municipal Advisor and has published articles on the topic of municipal finance and lectured to numerous academic and professional organizations. He has served on the Debt Policy Committee of the Association of Public Treasurers of the US and Canada, is a member of that organization and of the Government Finance Officers Association, the Cleveland Chapter of the Municipal Finance Officers Association, the Ohio Association of School Business Officials and the National Association of Independent Public Municipal Advisors. Mr. Sudsina formed Sudsina & Associates, after 10 years with A.G. Edwards’ Cleveland Public Finance group and as head of Fifth Third Securities’ Cleveland Public Finance practice. Prior to his investment banking career, he held positions with Price Waterhouse, the City of Cleveland's Finance and Economic Development Departments and the firm of Deloitte & Touche. He received his B.S. in Business Administration from The Ohio State University and MBA, with a concentration in finance, from Cleveland State University, holds a CPA certificate and has passed a variety of securities exams. Mr. Sudsina, the firm’s principal, provides municipal advisory and deal structuring services, plays an active role in the preparation of official statements for clients and regularly prepares issuers for credit rating presentations. His most critical role, however, is providing pricing and structuring oversight to ensure on-market pricing with the most flexible terms for our clients’ financings. He has served as municipal advisor or lead banker to over 100 cities, counties, schools and special districts in Ohio and Pennsylvania. Overall, as an independent municipal advisor, he and has participated nearly 500 financings amounting to approximately $4 billion in par value. Mike is one of only two Certified Independent Public Municipal Advisors in the State of Ohio, a certification bestowed upon only highly qualified professionals by the National Association of Municipal Advisors (NAMA). He has published articles on the topic of municipal finance and lectured to numerous academic and professional organizations. He has served on the Debt Policy Committee of the Association of Public Treasurers of the US and Canada, is a member of that organization and of the Government Finance Officers Association, the Cleveland and North Central Chapters of the Municipal Finance Officers Association, the Ohio Association of School Business Officials. Sudsina & Associates is a firm member of NAIPFA and Mike has served on NAMA’s Board of Directors and currently serves on its Treasurer. Mr. Sudsina formed Sudsina & Associates in 2002, after 10 years with A.G. Edwards’ Cleveland Public Finance group and as head of Fifth Third Securities’ Cleveland Public Finance practice. Prior to his investment banking career, he held positions with Price Waterhouse, the City of Cleveland's Finance and Economic Development Departments and the firm of Deloitte & Touche. He received his B.S. in Business Administration from The Ohio State University and MBA, with a concentration in finance, from Cleveland State University, holds a CPA certificate and has passed a variety of securities exams. Mr. Szanto has over 40 years of experience in municipal and regional government and public finance. He has acted as Municipal Advisor or Senior Managing Investment Banker for hundreds of clients raising over $30 billion in tax-exempt obligations since 1981. Steve is proactive in rating agency, rating agency surveillance and insurance company presentations. He has been involved with many rating upgrades for his clients. He has served as Municipal Advisor since 2000 for all types of issuers. As such, he provides oversight on all aspects on both competitive and negotiated underwritings. Mr. Szanto is a Registered Municipal Advisor with the SEC and MSRB. Steve is one of only two Certified Independent Public Municipal Advisors in the State of Ohio, a certification bestowed upon only highly qualified professionals by the National Association of Municipal Advisors (NAMA) and serves on NAMA’s Regulatory and Membership Committees. Prior to joining Sudsina & Associates, LLC in 2008, Steve served as a Public Finance banker for a number of firms starting in 1981 with Prescott, Ball & Turben, Inc., National City Public Finance and McDonald & Co. Securities and others. He also spent nearly five years at Public Financial Management's (PFM) Ohio Office as Senior Managing Consultant. In the public sector, he worked for the Northeast Ohio Area-wide Coordinating Agency (NOACA); and as an Assistant City Planner for the City of Cleveland City Planning Commission in the early 1970s. He received a Bachelor of Arts degree from Bowling Green State University, a Master of Science degree in Urban Studies, and a Master of Business Administration degree in Finance from Cleveland State University. He is currently working on a Fifth Degree Black Belt in Tae Kwon Do. Steve is a member of the GFOA, the County Commissioners Association of Ohio, the Municipal Finance Officers Association, and the Ohio Association of School Business Officials and the Ohio Association of Public Treasurers. He has also passed a series of securities exams during his career. 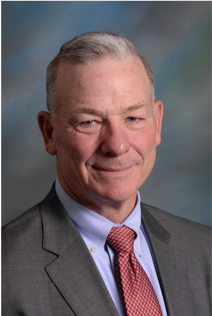 Mr. Prcela has provided expertise to school systems, municipalities, not for profits, and higher education issuers for over 20 years in Northeast Ohio. Michael has successfully completed over $2 billion of transactions in his career. As lead investment banker on hundreds of transactions Mr. Prcela has developed unique insight into market driven structures and concepts. Michael served as lead banker on Ohio’s largest qualified school construction bond issue in 2010, and the largest Ohio school district bond issue so far in 2016. Prior to joining Sudsina & Associates, Prcela was a senior vice president of investment banking with Piper Jaffray & Company from 2012 to 2016 and previously served as Vice President at Fifth Third Securities for 12 years. 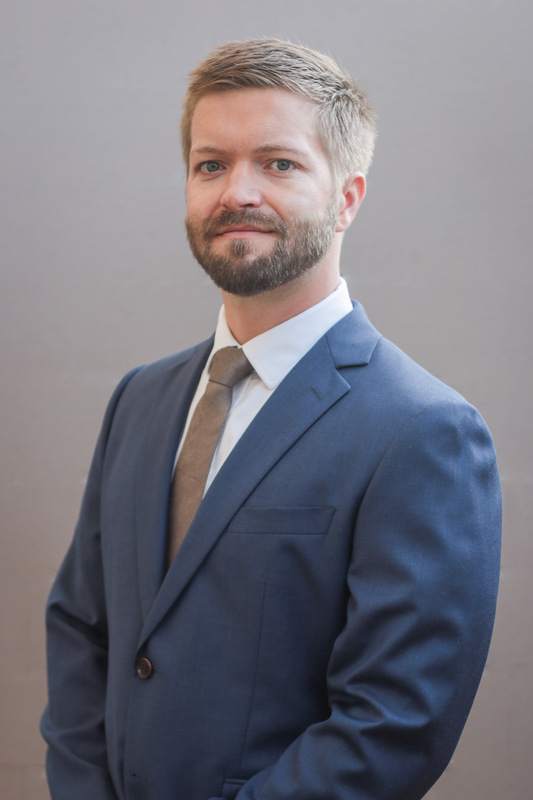 Mr. Prcela is an honors graduate from Miami University of Ohio and a FINRA registered general securities representative (Series 7, Series 50, Series 63, and Series 65). Mr. Van Wagnen provides analytical support for all clients including debt service structuring, actively assisting in the preparation of official statements and credit rating presentation and market research in advance of pricing and post-pricing. Prior to joining Sudsina & Associates Greg worked in various roles at JP Morgan Chase. There he ran the technology aspect of their Wealth Management trading desk. He has also served as a risk management analyst for the JP Morgan Institutional Bond department where corporate client accounts ranged from $100 million to $12 billion. He has spent time in multiple equity research roles in Columbus and Chicago and in a more analytical role he researched trading slippage costs of different brokers. Between undergraduate and graduate school Greg worked as an accountant for JP Morgan Chase’s mortgage department. Greg received a Bachelor of Science in Business Administration, Finance, and Economics from The Ohio State University and went on to attain a Master of Finance degree, also at OSU. He is continuing his education in the Chartered Financial Analyst program and is planning to sit for the FINRA’s Series 50 exam. Before attending college Greg worked at his family’s Cleveland based school bus and coach bus company running their payroll department and filling their general accounting needs. Mr. Chiappetta is currently serving as a Municipal Advisor in Western Pennsylvania for Sudsina & Associates, bringing some twenty-five years of experience in the field of Public Finance. He began his career with the Pittsburgh-based broker-dealer firm of Parker/Hunter Incorporated, which has since been acquired by the Philadelphia-based firm of Janney Montgomery Scott LLC. 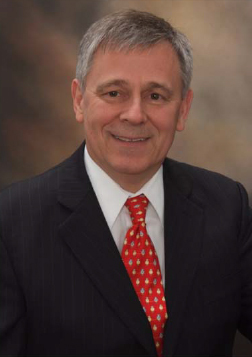 Between 1986 and 1997, Mr. Chiappetta was an Assistant Vice President of Public Finance with Bank of New York Mellon, where he managed the preparation of Official Statements, Bond Purchase Agreements, SLG subscriptions and related documentation for approximately $2.0 billion aggregate principal amount of Western Pennsylvania municipal bond underwritings. He was also responsible for the procurement of credit enhancement, i.e., municipal bond insurance commitments and bond ratings. Mr. Chiappetta then obtained two years of financial printing experience as a Customer Service Representative with R.R. Donnelley Financial. In this capacity, he was responsible for the management of client financial printing jobs, i.e., prospectuses, public offering documentation and annual reports, from inception to delivery. In 1999, Mr. Chiappetta returned to Public Finance as an Auction Administrator and Relationship Manager with the firm of Grant Street Group in Pittsburgh. In this capacity, he administered and supervised all Internet-based auctions for a variety of fixed income instruments, amounting to more than $100 million in aggregate principal amount. 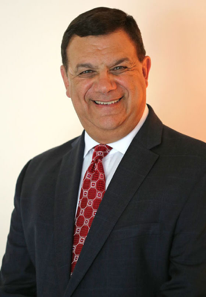 Since his retirement from Grant Street Group in 2010, Mr. Chiappetta has served as a part-time Legal Assistant in the Public Finance practice of the law firm of Dinsmore & Shohl, LLP and as a Tax Preparer for Jackson-Hewitt Tax Service. He also returned to Grant Street Group as a Consultant between 2012 and 2014. Related responsibilities included: client relations and retention through assisting client Municipal Advisory firms, government issuers, and Bond Counsel; and training and supporting municipal underwriters bidding on all Grant Street Web site platforms. 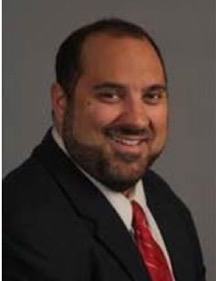 Mr. Chiappetta received a Bachelor’s degree in Business Administration from Robert Morris University and a Master of Arts degree in Industrial Relations from Saint Francis University. He has successfully completed the following professional license examinations: FINRA Series 50 (Municipal Advisor Representative), Series 52 (Municipal Representative), Series 53 (Municipal Principal), and Series 63 (Uniform Securities Agent). He also holds a Real Estate License from the Pennsylvania Real Estate Commission.